As a specialist for Dresden and the region, we established ourselves as DRESCHER Incoming & Tourismus GmbH since 1990 on the incoming market and are one of the leading agencies in the area of Dresden. As a full-service provider in Dresden´s Tourism, we and our partners provide one of the broadest business activities. We take over for you the complete event organisation and creation of tailor-made supporting programmes as well as the organisation of all desired achievements, like coach supply, hotel reservation, company leader's mediation, theatre and mediation of tickets for concerts and Semper Opera. Hundred percent reliability and the necessary feel for details make our company successful. We show you Dresden how it knows only one inhabitant of Dresden. 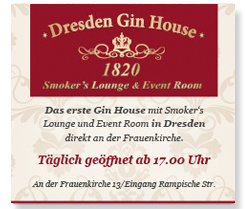 You plan a visit with a bigger group in Dresden? Whether within the scope of a company celebration or club party, for a congress or a trade conference, or in the circle of the family - we have the suitable ideas for your group tour to Dresden. With pleasure we discuss with you the planning, organisation and realisation of your trip and the complete supporting programme. You plan an excursion to Dresden for your company and you are in search of a lodging as well as a many-sided supporting programme? With pleasure we select for you suitable hotels and arrange a wide spectrum of possibilities of excursions. I consent to the processing and storage of my personal data for the purpose of processing any requests you make. You may revoke your consent with future effect at any time by sending an e-mail to info@drescher-tourismus.de.